 Students on a budget is back with yet another post. This time we will be talking about public transportation. Since the entire system is quite standardized here in Austria and most of the stations have a similar layout, we thought it would be a good idea to hit one of the local train stations and film there. This particular post focuses on the train system, type of trains, available providers and most importantly existing discounts. You will receive a brief introduction to two railway operators: ÖBB and Westbahn. The biggest and the most famous (and old) operator is ÖBB. With really great connections it runs to all possible destinations within Austria and the neighboring countries. However, the friendliness of the staff definitely leaves much to be desired J ÖBB has a number of train types to choose from. Just to name a few, the Railjet is the fastest train running at around 220 km/h. With its comfortable seats, on board service and free WiFi it is the ideal choice for longer trips. For journeys between different regions or cities that are not too far apart you can go for REX (Regional Express) or R (Regional Zug) offered also by ÖBB. But these are not your only options of course. For a trip to suburbs or villages look out for a blue S-Bahn (Stadtschnellbahn) or buses. The second and the newest provider is Westbahn, operating in Austria since 2011. If you like modern trains, flexible ticket purchase options then this one is definitely for you. The best part is you can purchase your ticket inside the train (however discount options are only available on presale online), you get a scenic view from its double-deck wagons and there is even a wending machine on board (awesome right?). Overall it is cheaper than ÖBB if you do not have a discount card. However there is one downside to it: it only operates on one main route connecting cities of Vienna, Linz and Salzburg. Now let’s talk about important stuff – discounts! ÖBB Vorteilskarte: There are many discount options to choose from according to your age and occupation (student, youth, senior, classic etc.). These discount cards allow you to get up to 50% on regular fair prices. If you are under 26 years old (most of the discounts in Austria apply up to this age) you can go for the Jugend (youth) card which will cost you 19 €. Don’t worry if you are pass 26 (like we are J). For a “few” extra euros (just kidding 99 € is a huge price difference) you can purchase a classic discount card. If you are comfortable with booking your Vorteilscard online and you are between the age of 26-63, we recommend the Vorteilscard 66 for 66 €. All these cards are valid for a duration of one year. Westbahn discounts: With this provider you don’t need to commit for an entire year or carry a special card with you. You have access to various discounts (student, teacher etc.) online if you purchase your ticket beforehand. Ticket at regular rates can be purchased on board or via the Westbahn app. Check out our video for more discount tips. If you are curious to see how a typical Austrian train station looks like including all it has to offer, then please watch our video. You will also discover a quick tutorial on how to use ticket machines. Check out the section below for all the useful links to various topics we discussed. If you had fun reading this post and watching our video, please subscribe to our YouTube channel and follow us on Instagram. We are looking forward to your comments and suggestions. Enjoy and always remember to stay on a budget!